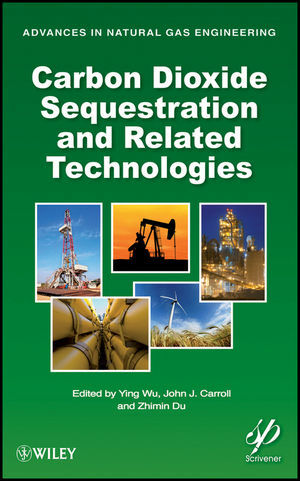 Carbon dioxide sequestration is a technology that is being explored to curb the anthropogenic emission of CO2 into the atmosphere. Carbon dioxide has been implicated in the global climate change and reducing them is a potential solution. The injection of carbon dioxide for enhanced oil recovery (EOR) has the duel benefit of sequestering the CO2 and extending the life of some older fields. Sequestering CO2 and EOR have many shared elements that make them comparable. This volume presents some of the latest information on these processes covering physical properties, operations, design, reservoir engineering, and geochemistry for AGI and the related technologies. Ying (Alice) Wu is currently the President of Sphere Technology Connection Ltd. (STC) in Calgary, Canada. From 1983 to 1999 she was an Assistant Professor and Researcher at Southwest Petroleum Institute (now Southwest Petroleum University, SWPU) in Sichuan, China. She received her MSc in Petroleum Engineering from the SWPU and her BSc in Petroleum Engineering from Daqing Petroleum University in Heilongjiang, China. John J. Carroll, PhD, PEng is the Director, Geostorage Process Engineering for Gas Liquids Engineering, Ltd. in Calgary, Canada. Dr. Carroll holds bachelor and doctoral degrees in chemical engineering from the University of Alberta, Edmonton, Canada, and is a registered professional engineer in the provinces of Alberta and New Brunswick in Canada. His fist book, Natural Gas Hydrates: A Guide for Engineers, is now in its second edition, and he is the author or co-author of 50 technical publications and about 40 technical presentations.